To start, uncovering subflooring that has been compromised by rot or termites is certainly disconcerting, and it is an all too common occurrence during remodeling. A discovery like this will entail structural repairs before the remodel can continue. Many remodelers recommend allotting ten to twenty percent of your budget to unexpected repairs such as these. Some proactive planning can go far to be prepared if the unexpected happens. You definitely will want to check if your sink and toilet have shut off valves. If they do not, the water to the whole house will need to be shut off for the duration of the bathroom remodel, and that is usually unrealistic. You will need a plumber to install shut off valves so that others can get water while you replace the bathroom sink. You will want to ascertain if you have lead or asbestos in materials that you are removing. If you do, it is recommended to have a lead or asbestos removal professional safely remove them before proceeding with the remodel. Got ground wire? When you open up the wall and see the electrical for the first time, you will want to make sure that you have ground wires at every electrical outlet. This protects you against serious electric shock. In many areas, ground fault circuit interrupters are also required by code. Have an electrician already in mind to make these updates if needed. Once your bathroom remodel is finished you will reap the rewards of all the time and money it took to get the job done right. You will have an updated functional space that will add livability and value to your home. 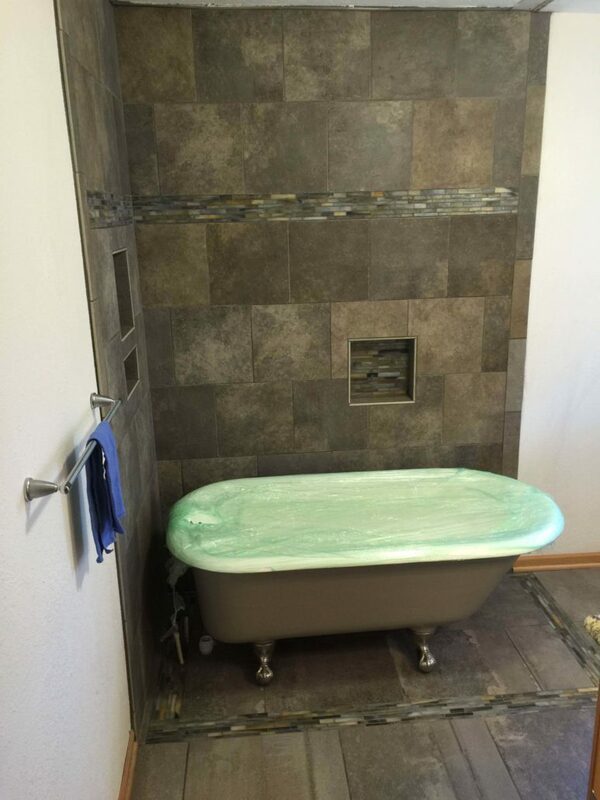 To get started on your bathroom remodel, contact us at G&K Construction in Omaha, NE. We can design and install beautiful bathroom that fits your space and needs. Contact us or click here for a free quote.